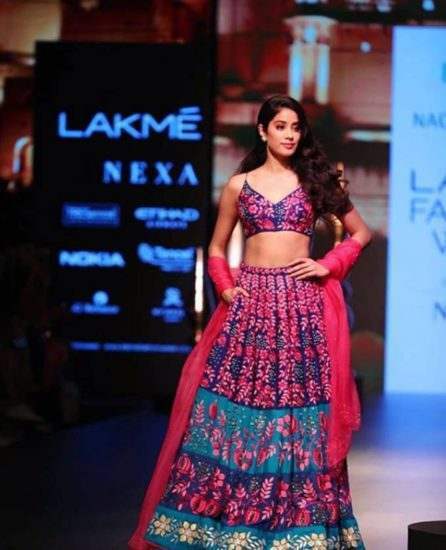 Bollywood’s latest addition to the gen-next set of superstars, Janhvi Kapoor walked the ramp at the ongoing Lakme Fashion Week 2018. 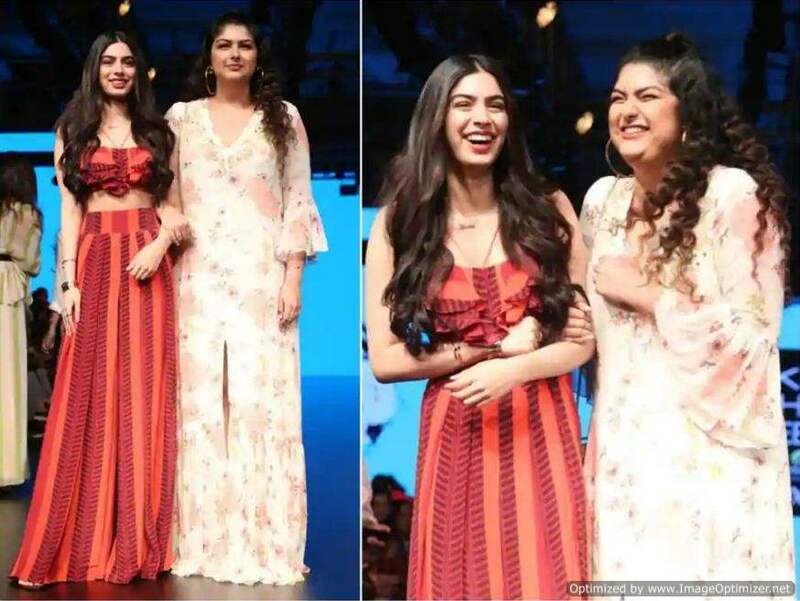 She was the showstopper for designer Nachiket Barve’s latest collection titled as ‘Millennial Maharanis’. And Janhvi looked no less than a maharani herself. 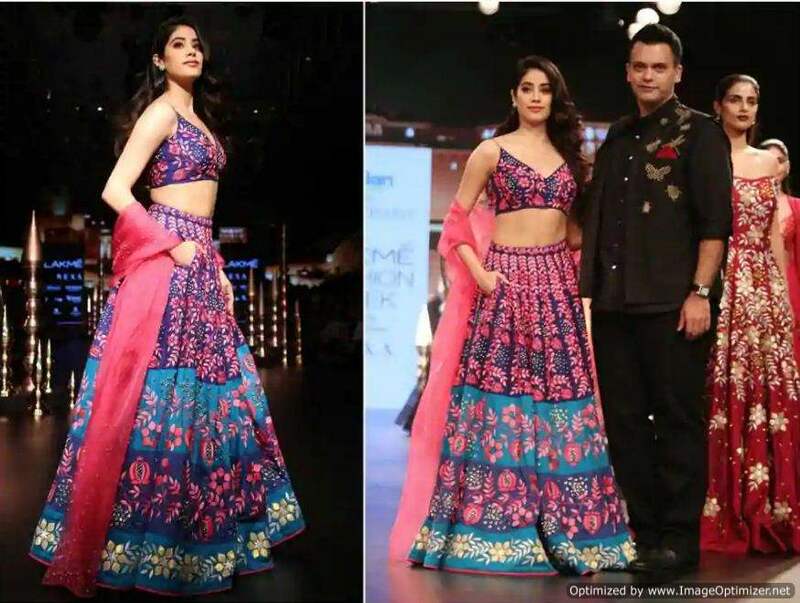 All eyes were on the young debutante as she walked the ramp with grace and poise in a pink, purple and blue coloured lehenga-choli. 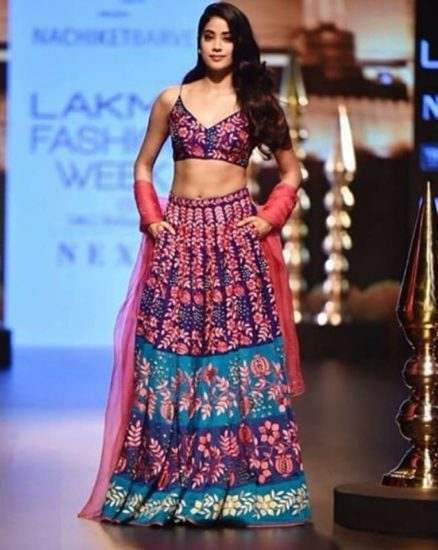 The lehenga was heavily embroidered with pink and gold threads. And she paired the outfit with a simple pink dupatta. What really made the couture outfit stand apart was Janhvi’s long and silky tresses which were left open in beautiful natural waves. The subtle pink makeup complemented the look really well. To support and cheer their sister, Janhvi’s baby sister Khushi and cousin Anshula also came along. 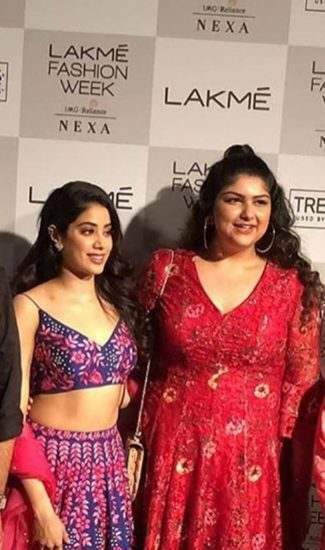 Apart from Janhvi, other Bollywood celebs like Sushmita Sen and Karisma Kapoor, too, walked the ramp for designers RmKV Silks and Arpita Mehta, respectively. 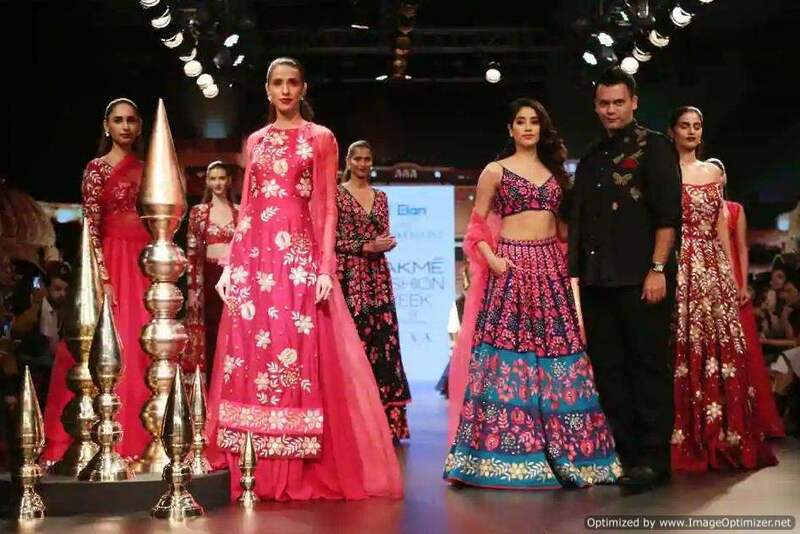 The LFW 2018 commenced on 22nd August 2018 and has been going on with all the glitz and glamour. 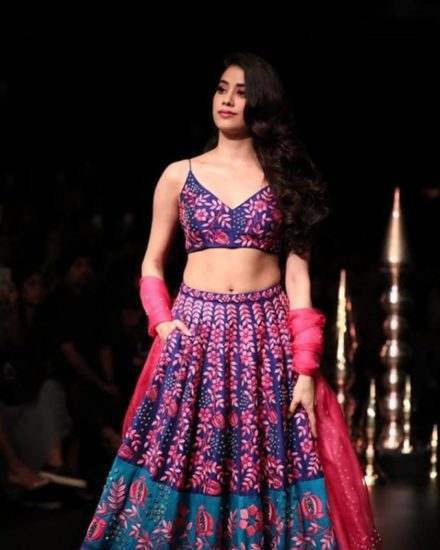 Janhvi had made her acting debut opposite Ishaan Khatter in Karan Johar’s ‘Dhadak’ in July. 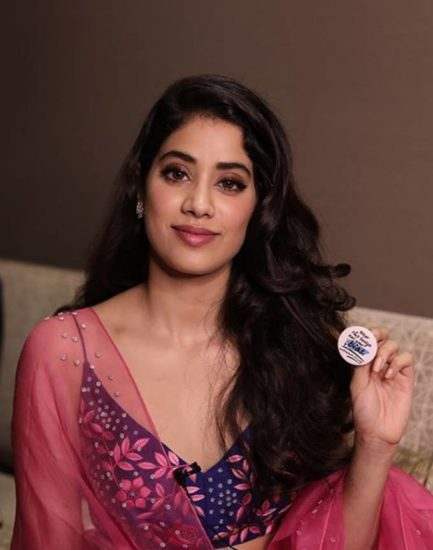 The film was a success at the box-office and Janhvi earned many praises for her performance. She has signed another film with Karan Johar. She will be a part of his ensemble ‘Takht’ which will release in 2020. The film boasts of a star-studded cast including Alia Bhatt, Ranveer Singh, Kareena Kapoor Khan, Anil Kapoor, Bhumi Pednekar and Vicky Kaushal. Karan will be directing a film after two years. His last directorial was Ranbir Kapoor, Anushka Sharma and Aishwarya Rai Bachchan starrer ‘Ae Dil Hai Mushkil’ which released in 2016. Previous story Priyanka Chopra Danced On ‘Desi Girl’ For Nick Jonas At Their Engagement Bash!